Usually, individuals look for ways to be freer. Among individuals already aware of the mounting problems of ever-repressive tax, police, and social policies of Western governments, the focus is on practical fixes more than philosophical questions. Though many may turn to political campaigns and actively seeking to change the system, an increasing number are choosing to put their money where their mouth is and just exit. Leave. Expatriate. Some may choose expatriation because of temporary work, retirement, or better tax regimes, but it offers specific refuge for those who can no longer take the status quo of their native lands. As the cost of travel plummets and technology offers countless new ways to connect and work on-the-go, fleeing one’s native country once it has become too overbearing for the individual isincreasingly lucrative. And it’s proved by the statistics. The number of US Americans living abroad has jumped from just 4 million in 1999 to over 7.6 million today, estimates the US State Department. Close to 3 million, or 9 percent of Canadian citizens live abroad, according to the Asia Pacific Foundation of Canada, and represent more people than live in six of the ten provinces. The idea of moving abroad when society becomes repressive is not new, and even has a grand literary tradition. In the era of the 1920s, a significant factor pulling American artists away to European nations was the promise of greater creative freedom. Puritan laws on obscenity and censorship restricted many American artists from fully expressing their thoughts and ideas. Public book burnings of controversial works such as James Joyce’s Ulysses frightened the artistic class. Prohibition left many for want of a good time without the moral judgment of the state. The rise of the Temperance Movement infiltrated all spheres of politics and society, shunning and punishing those who did not agree with majority opinion. Writers and poets such as Ernest Hemingway, F. Scott Fitzgerald, and Ezra Pound found refuge in Paris, which became a cultural hub of American expatriates. “It isn’t so much what France gives you as what it doesn’t take away,” said famed American author Gertrude Stein, one of the preeminent expat writers in the 20th century who mentored dozens of artists and authors from her apartment in Paris. While then it was the artist who felt repressed by society, today it is the working individual who finds himself in the crosshairs of the machinery of government. The average debt burden — spurned by years of profligate spending at local, state, and federal levels — promises years if not decades of increased taxes in order to pay the bills of a military empire and the promises made by governments through social programs and retirement packages. Each child born in the United States today is slapped with a US$55,000 share of the total national debt they’ll work to pay off the rest of their lives. Businesses and start-ups face insurmountable obstacles if they wish to make a profit, bogged down by costly regulations and requirements which end up hitting consumers and raising the cost of living. Students coming out of college have on average nearly $30,000 in debt before they’ve made a single dollar in the workforce. While some may chose to stay and fight, sometimes expatriation is the only option. Sometimes realizing that nothing chains any of us to the land we were born to or grew to know is key to finding our true success. Sometimes saying goodbye is better than actively suffering to maintain a distant dream. As an entire continent populated by generations of immigrants who sought a better life, North Americans should understand this more than most. Practically, this means moving bank accounts, changing residences, and finding ways to make money abroad. The key obstacle will be overcoming taxation. Many government figures and intellectuals in the United States and Canada, such as the National Post’s Diane Francis, decry expats for “avoiding tax laws” by setting up abroad. The system is gearing up to go after expats making their living outside the country, but limited government resources keep most people safe from encroachment. For US Americans, this is incredibly tough, because federal law requires citizens to file all income earned anywhere on the planet and for life. This, plus more onerous banking standards, have led banks abroad to be reluctant to take on US clientele. The only true solution is to formally renounce US citizenship, as long as you’ve acquired another. It will be difficult in the beginning for the good number of people who don’t have experience abroad, but it will be worth it. It will be an active choice that will empower the individual and will be essential forremaining free in an unfree world. The beauty of true competition and the free market is revealed when we’re at last put in a situation where we have the advantage of being relatively free. 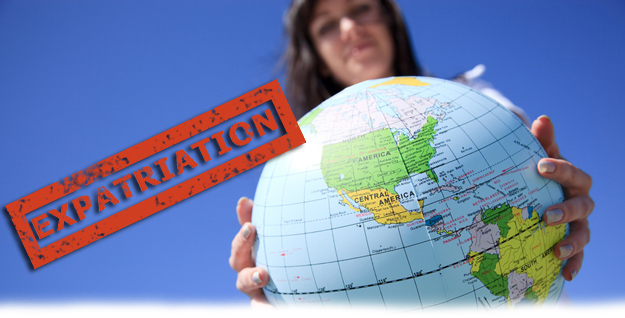 Expatriation has brought that to so many different peoples over many thousands of years. There is no reason to believe it isn’t true today. The Sun Also Rises, Hemingway’s seminal work on American expats in Europe, gives us a better cultural understanding of why expatriation was favored by so many. This article was published on PanAm Post. Next Article If Not the Parti Québécois, Who Is Today’s Quebec Secessionist?